A 37-year-old pregnant woman was killed while her husband and their five-year-old child were injured in a fire that broke out at their home in Bellanwila, Boralesgamuwa last afternoon. 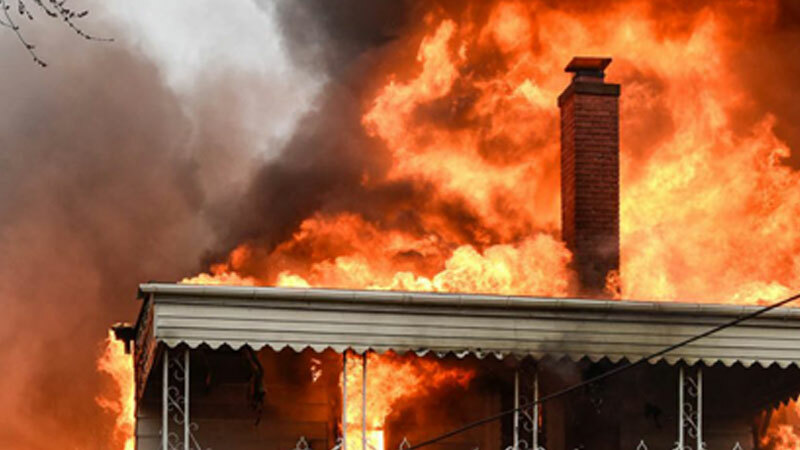 The couple and their child were admitted to the Colombo South Teaching Hospital following the fire that had engulfed their home. However, the female doctor was pronounced dead upon admission to hospital. The fire had broken out around 1.25 last afternoon at their two storeyed house at Sri Somaratne Mawatha in Bellanwila, Boralesgamuwa. The victim Vidharshi Dias was employed at the Horana Government hospital but had resigned from her post as she was pregnant. Her husband is an eye specialist attached to the Sri Jayawardenapura hospital. The father and five-year-old son are currently receiving treatment at the Kalubowila hospital. So far the cause of the fire has not been determined. Further investigations are carried out by the Boralesgamuwa Police.